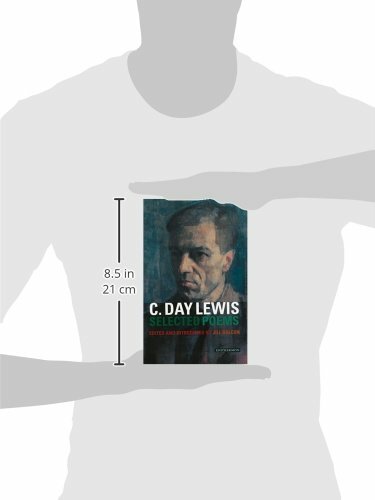 Cecil Day-Lewis (who wrote as C. Day Lewis) was born in Ireland in 1904, the son of a Church of Ireland minister. The family moved to England in 1905 and his mother died three years later, when Cecil was four years old. He was looked after by his father, with whom he had a difficult relationship, and by his mother’s sister, Agnes. A late poem by C. Day Lewis movingly describes Agnes’s loving care, and her eventual exile ten years later on the remarriage of her brother-in-law. After prep school in London, Cecil escaped his father by joining Sherborne School as a boarder. He then studied classics at Oxford, and early on decided he would try to earn a living as a poet. In his final year at Oxford he met his fellow student, W.H. Auden, with whom in 1927 he edited the collection Oxford Poetry. In the early 1930s Auden and Day Lewis, alongside Stephen Spender, Louis Macneice and others became known as a distinct group, expressing unease at the political and social crises of the decade and the rise of fascism. Day Lewis was the most politically active of the group, speaking at meetings and eventually joining the communist party. The poems recorded here were all written during this time and are read by Day Lewis himself. The voice on the recording is at first surprising. Elegant, precise, almost tweedy, but also warm and inviting, it does not sound like the voice of a communist revolutionary. In the measured tones of a craftsman, he sounds determined to reveal his work with clarity and restraint. The carefulness expresses the struggle for balance in the poetry, balance between the competing pressures of his public and private life. He once said that his political poems were in fact about love and death. Tempt Me No More gives a flavour of Day Lewis’s political awareness, and of his sense of impending disaster: ‘Bayonets are closing round’. It connects this with his own individual experience: the act of love that begins the life of a family can become a loving solidarity with the mass of people. 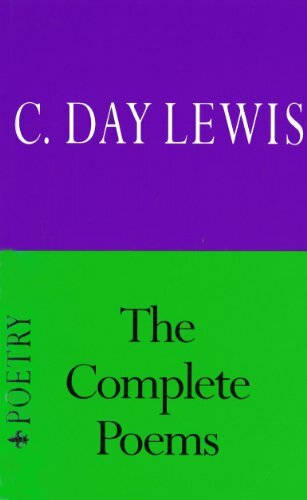 By this time (1933) Day Lewis was teaching in a private school, but he soon found a more congenial way of earning money to support his real work as a poet. He began writing a series of detective novels under the pseudonym Nicholas Blake; these were popular and lucrative. His success in this endeavour reveals another facet of Day Lewis’s writing: his skill at echoing the style and form of other writers, including Yeats and Hardy. In this recording there is a brilliant pastiche of Marlowe’s The Passionate Shepherd to his Love, translated to a modern urban slum. Day Lewis became disillusioned with the communist party and left in 1938. He was viewed with suspicion by the authorities and, on the outbreak of war, his application to join the Ministry of Information was refused. He continued to write and by the 1950s was at the height of his fame; in 1968 this one-time member of the communist party was appointed Poet Laureate.